Why do so many people lie so much of the time? We talk a lot about the importance of honesty. What it comes right down to it there’s a lot more lying than telling the truth going on. When I see couples, they frequently accuse each other of lying, or they both talk about how important honesty is to them. Commonly there are heated discussions about what the truth is. Why is it so hard to find the truth? Why can’t people stop lying? The phantom nature of truth is behind a whole lot relationship conflicts and parenting issues. 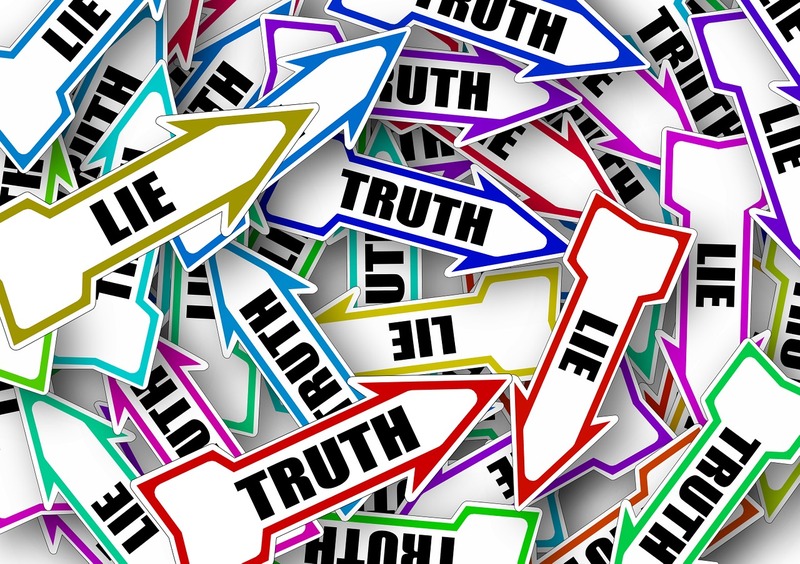 Here are some of the reasons why people can’t agree on what the truth is and who is lying. They believe what they’re telling you even though it’s untrue. Have you ever met someone who goes on vehemently insisting that something is true when others are equally certain that it’s not true? One common reason for this inability to agree on truth versus lie is that people insist on the truth of the things they believe to be right, up until they discover they were wrong. I find it hard to call it lying when someone tells me something and really does believe it. I think we all need to recognize that just because someone tells us something does not mean it’s true. This does not mean they’re lying; it just means they are mistaken in what they believe. You need to make your own evaluation of things. Especially don’t rely on others to be correct when the consequences to you of their being mistaken could be serious. Impression management, they want you to think well of them. Most people want to be liked. They will tell you the truth about things that make them look good while leaving out the parts that make them look bad. You ask your spouse if they paid the water bill and they say yes. What they don’t say is they forgot to mail the check, and the bill got paid two weeks late. It’s common to bend the truth not by saying things that are outright lies, but by leaving out part of the story. Kids will avoid telling you when they got a bad grade on a test. Too much honesty can hurt people’s feelings. When we know that the truth might be painful, we tend to leave parts out or sugar coat what we say. The woman asked you, does this dress make me look fat, rigorous honesty is not the best policy. Friends are often reluctant to deliver bad news. If you can’t handle the truth, people are likely to keep it from you. To avoid conflict, you won’t like the truth. You ask your partner if they talked to their ex, today. They tell you no because they know you would be extremely angry if you found out they were having contact with that ex. They work at the same company with that ex, and they know they will see them every day. If when they tell you the truth, you punishment them, yell or give them the silent treatment, they stop telling you the truth. Lying gets them what they want, and out of doing things they don’t want to do. Little kids learn early on to say what they think you want to hear. You ask if they did their homework and they say yes. The result is they get to watch TV or play video games instead of having to do homework. Lying can do two things, get you something you want, or get you out of having to do something you don’t want to do. The part they told you was true, they just left some things out. You asked the kids did they do their homework. You told them no TV till after the home was done. They tell you yes, I read three chapters of history. They leave out the part about not having done their math or English homework because right now there is a show on TV, they want to watch. When you ask someone if they did something they were not supposed to do, the most common reaction is to deny they did it. You are using a different standard. Ask most kids if they cleaned up their room and they will say yes. To them cleaning up the room means putting one or two things in the closet, probably they tossed their dirty clothes in there. Out of sight out of mind. To you cleaning up the room means a lot more than hiding the dirty clothes. Those are some of the reasons people lie. Ask yourself if you have ever been less fully truthful. Why did you do it? Was it one of these reasons? Can you think of other reasons you may have lied? This entry was posted in Psychology, Trust and tagged dishonesty, Honesty, lying, Psychology, telling the truth, Why children lie, why they lie by David Joel Miller. Bookmark the permalink.